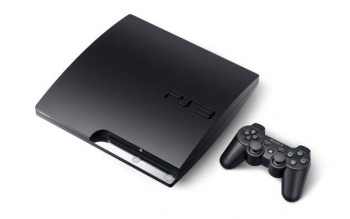 Sony's PS3 firmware update to foil the infamous PS Jailbreak has been itself foiled. Back in September, Sony updated the PS3 firmware to version 3.42 in order to kill the functionality of PS Jailbreak, a USB mod tool that allowed users to play illegally copied games from the PS3's hard drive. It continued with version 3.50, which hit along with EA's Medal of Honor. This wasn't enough to deter a determined pirate, however. According to Engadget, the makers of PS Jailbreak have updated the device to function with firmware versions 3.42, 3.50, "and beyond." Honestly, this comes as little surprise - it's part of the ongoing war against piracy (or, if you're on the other side, the war against copyright law). One group develops a counter for the other's technology that works until the second group unleashes its counter-counter, rinse and repeat. Sony is undoubtedly going to release a new firmware update that stymies the PS Jailbreak yet again, until PS Jailbreak cracks that one, too. Given that the release of FW 3.50 was rumored to be one of the reasons behind the eleventh-hour delay of Gran Turismo 5, it's entirely possible that an emergency firmware update might crash the racer's impending release date into a wall. Which, given how often that game has been delayed thus far, would just be part for the course, really. If these determined pirates would only put their attention to other things, we'd probably be on Mars by now. Update: Also according to Engadget, this will not actually function with games that require FW 3.42 and 3.50 - rather, it forces the PS3 down to the hackable FW 3.40. This only allows pirates to play older games, not the new ones that mandate the latest firmware. So really, this isn't as much of a setback for Sony as it could have been - for now.